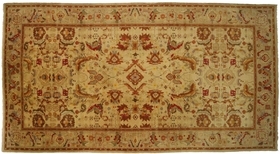 Vintage Portuguese Gallery Rug with Transitional Modern Style in Warm Colors From Esmaili Rugs Collection. 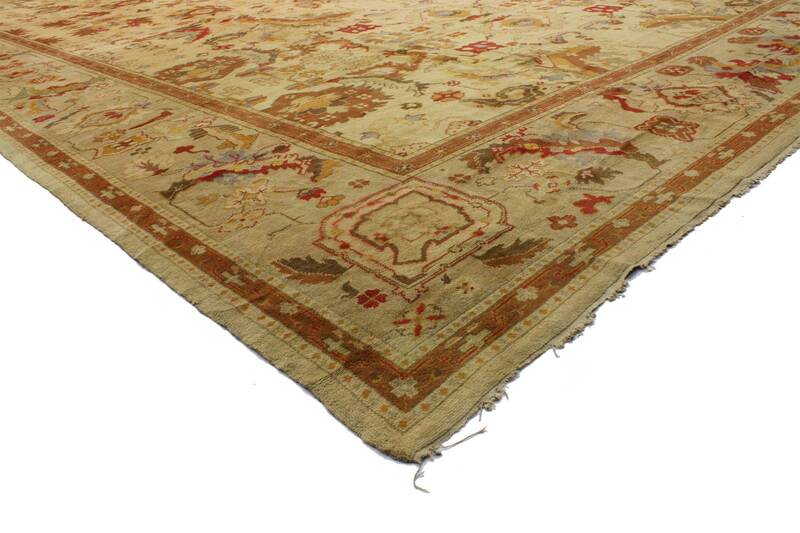 This vintage European gallery rug from Portugal has held up nicely with the times. 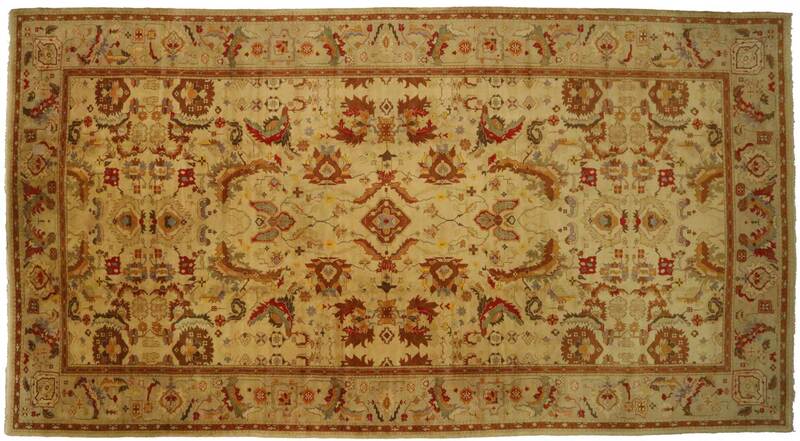 With a spectacular twist on a traditional art form, the overall geometric pattern and meticulous level of detail reveals a level of precision seamlessly melding into the unique design scheme, allowing this vintage rug to be expressed with elegance. The stylized vine scrolls mingle with a medley of exquisitely composed flowers and leaves creating a majestic cadence throughout this tantalizing composition. Strongly outlined geometric motifs crisply define the botanical scene against the contrasting golden field. Possessing a beautiful color combination consisting of variegated shades of rustic red, brown, orange and gold, grey, sage green and powder blue - this lively transitional modern style rug provides a timeless formality functioning as the perfect grounding tool for one’s space. 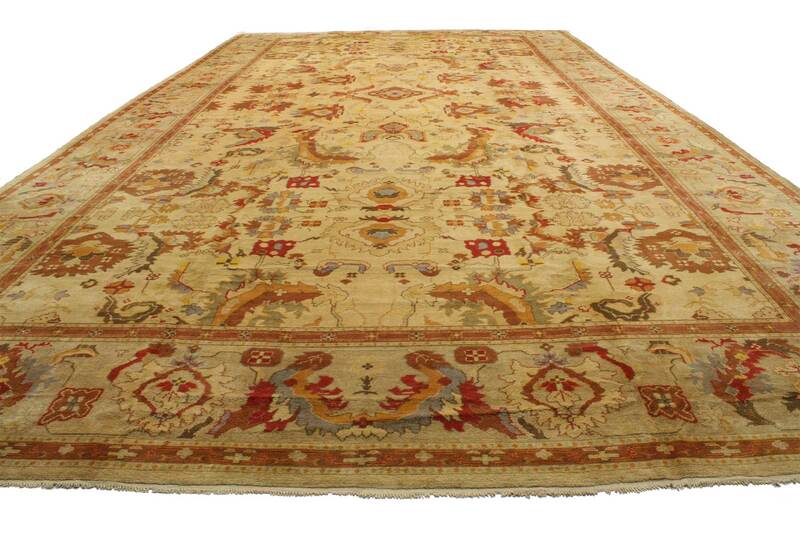 Full of character, this vintage European rug will endow nearly any interior with its lavish quality. Measures: 15'00 x 27'07.